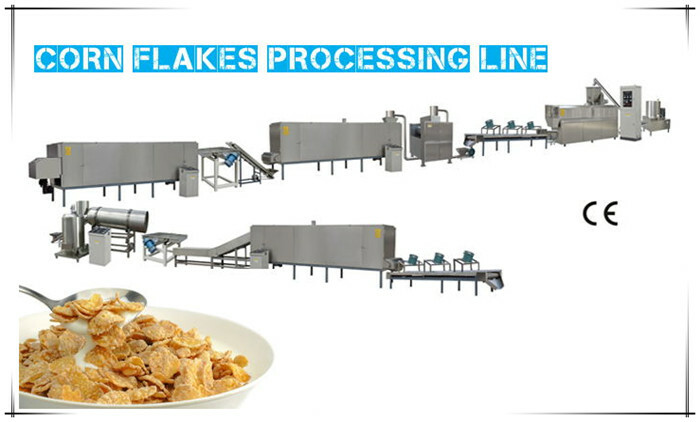 Corn Flakes Processing Line produces cereal flakes, both plain or coated. The twin-screw extrusion technology is at the core of this very flexible and scalable process. We share our process knowledge to process healthy and balanced products made with wholegrain cereals or including a mix of multi-grains like corn, wheat, oats, rice, barley, rye, Buckwheat or barley... Corn Flakes Extruder is used to produce consistently high quality products while keeping the same organoleptic characteristics as traditional flakes.